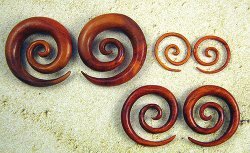 High Quality Organic Wood Body Jewelry. 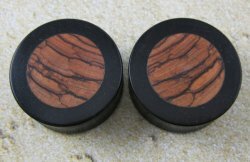 Each pair is hand carved by professional artisans. 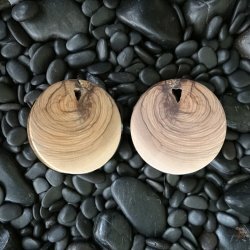 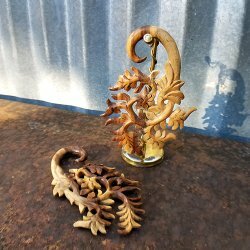 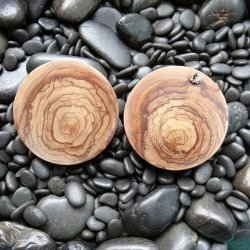 Wood plugs, ear tunnels and spirals. 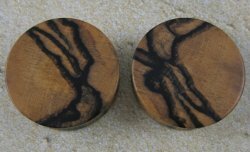 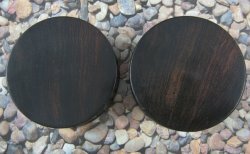 Coconut Palmwood Plugs 1 15/16"
Betlehem Olivewood Double Flare Plugs 2 3/8"
Betlehem Olivewood Double Flare Plugs 3"
Ebony Inlayed Olive Wood Exotic Wood Plugs 1 1/8"
Olivewood with Black and White Ebony Inlay 1 1/4"
Desert Ironwood Solid Double Flare Plugs 1 3/8"
TIger Ebony Double Flare Plugs 1 3/8"
Bloodwood Exotic Wood Mayan Flare Flower Eyelets 1 5/8"
Bloodwood Mayan Flare Eyelets 1 11/16"
Black Ebony Eyelet 1 3/4"
Black Ebony Eyelet 2 1/2"